I thought talking to John Walley would follow the normal pattern for an interview: you know, date of birth, hobbies and interests, that sort of thing. I knew about his local reputation as a fine actor and his interest in comedian George Formby but what evolved in our meeting was nothing short of extraordinary and, in parts, quite moving. However, let’s start with his ukulele-playing hero. 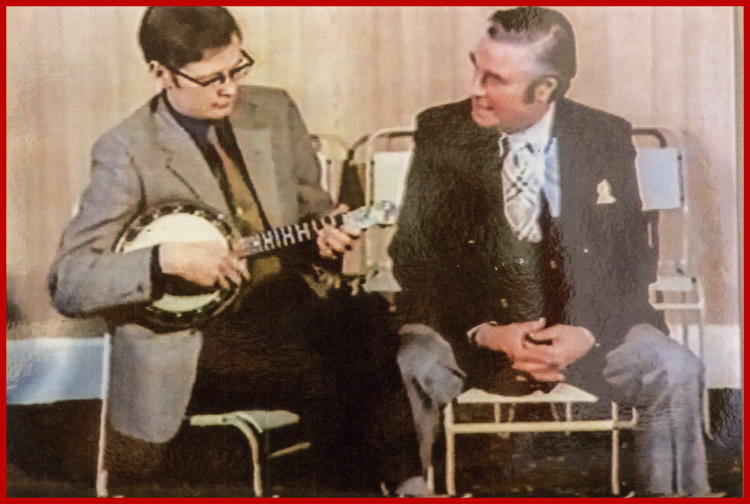 To members of the George Formby Society wherever they may be, John Walley is someone greatly admired for his devotion to the memory of their hero. 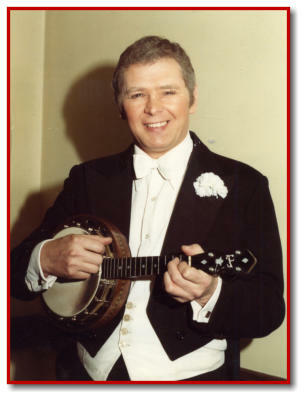 John is a founder member who in September 1961 helped to form the George Formby Society and was made an honorary member in 1973. Moreover, when the society celebrated its Golden Jubilee in 2011 John was presented with ‘The Golden Jubilee’ award and was honoured to be asked to switch on the famous Blackpool Illuminations. 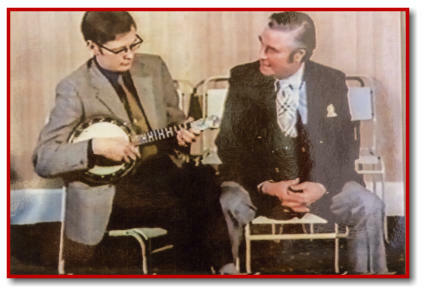 In a recent TV documentary the comedian Frank Skinner introduced him as ‘our George Formby mastermind.’ John was the secretary of the GFS from 1962-1973, edited the Vellum for seven years and usually arranged the programme for the weekend conventions in Blackpool. He suffered an ulcer in 1973 which plagued him constantly and forced him to miss several conventions. He says he still has ‘problems’ today but he hasn’t missed a meeting for over thirty years. When the society has a special occasion such as a particular birthday or anniversary then John comes to the fore and helps to arrange it all and presents the event. He is particularly interested in Formby’s films and says that he never tires of watching them for the hundredth time. He believes that George’s success on the screen (he was Britain’s top box-office star for six consecutive years) distinguishes him from all of his contemporaries, including Gracie Fields. I’m talking to John in his ‘den’ at his home where there are cupboards and drawers stuffed with Formby memorabilia: original photographs, songs copies, rare letters from George’s many admirers and pride of place in his ukulele collection is the uke George used in the film ‘Keep Your Seats Please’ to sing the iconic number ‘When I’m Cleaning Windows.’ Lots of items catch the eye: two telegrams from George’s mother arranging a visit to the GFS, a letter from George’s fiancé vPat Howson, a badge from the pre-war George Formby Club, letters from Reg Dixon (who took over from George in ‘Zip Goes A Million’,) Eddie Latta, from Ethel Formby (George’s sister), comedian Larry Grayson and Eric Maschwitz who wrote ‘Zip’ and even a lovely piece of correspondence from Buckingham Palace! But how did it all start? For no reason he can think of, in the 1950’s John fell in love with the theatre. 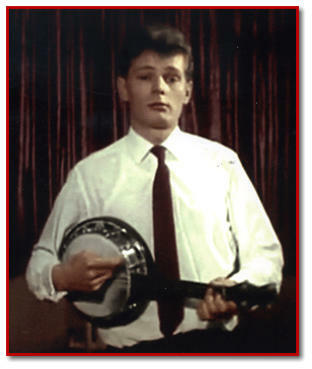 He had been given the leading roles in three school productions, which undoubtedly started it all, and in 1956 his parents took him to the Theatre Royal in Hanley, Stoke-on-Trent, to see a play starring George Formby. John says, “It was called ‘Too Young To Marry’ and halfway through George brought his uke out of a cupboard and sang and played. It was amazing! 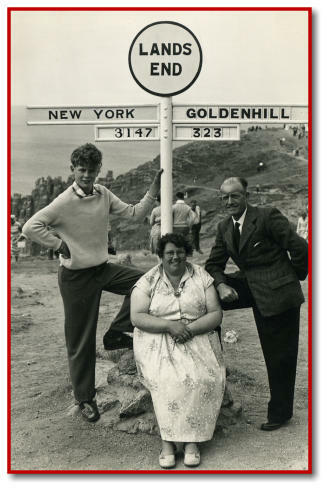 The play had to stop and I went home a Formby fan.” He had liked George years before but that was the first time he had seen him in the theatre and the love affair began. 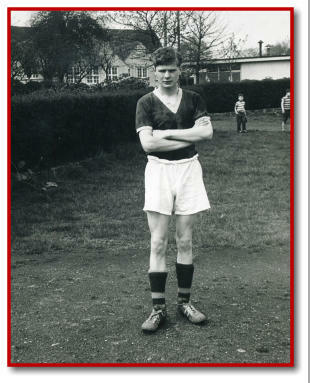 From then to the present day he has ‘lived and breathed Formby’. His expertise has been called upon many times. In 1991 he helped to organise the Formby Exhibition in Warrington, which celebrated the thirtieth anniversary of George’s death. 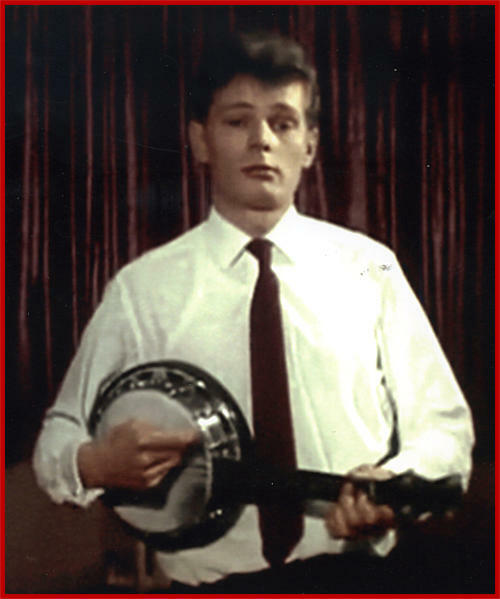 In the same year John, the actor, was offered the leading role in ‘Zip Goes A Million’ at the Mitchel Memorial Theatre. Television appearances have included, ‘The Ukelele Man’ (1971), ‘Halls of Fame’ (1994), ‘Applause! 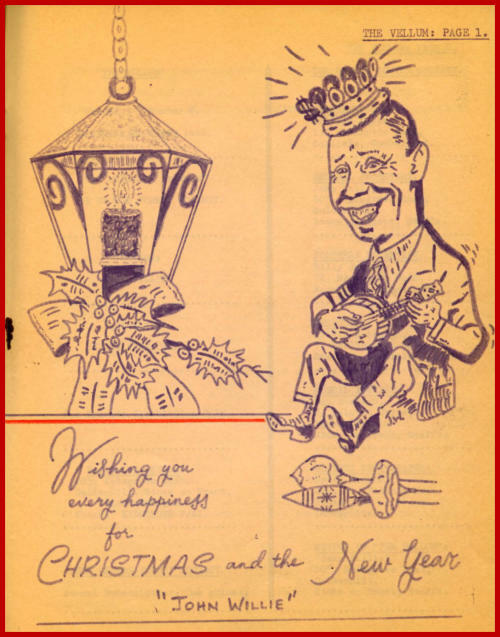 Applause!’ (1967), ‘Forty Minutes (1982), ‘The South Bank Show’ (1992), ‘Going Live’ with Philip Schofield (1990), ‘Collectors’ Lot’ (1997),’ ‘Frank Skinner on George Formby’ (2010) and several radio programmes. 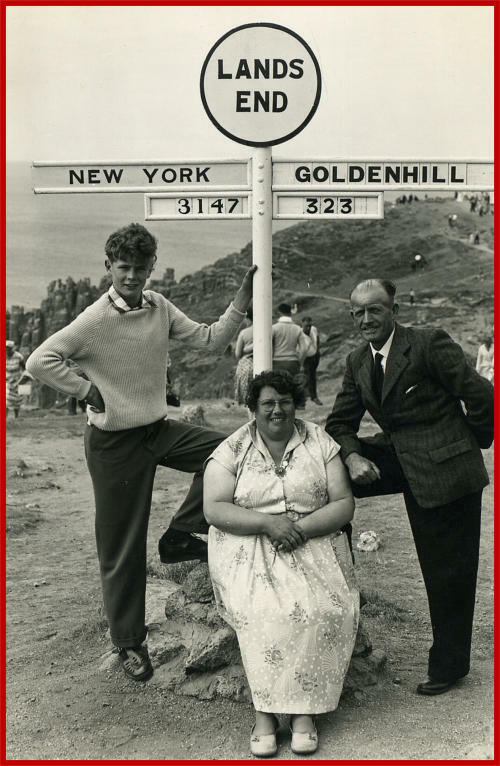 His love for George has enabled him to meet many celebrities: Arthur Askey (‘lovely’), Jimmy Clitheroe (‘quiet and shy’), Ken Dodd (‘genuine’), Alan Whicker (‘aloof’), Betty Driver (‘nice’), Roy Hudd (‘a bit pompous’), American crooner Johnnie Ray (‘sweet’), Marti Webb (‘a bit aloof’), Anita Harris (‘lovely and modest’), old timer Leslie Sarony (‘rather fragile’), Alan Randall (‘a business man’), Eddie Latta (‘liked his whisky’), Pat Howson (‘seemed genuine’), and even George’s mother, his sisters, and his brother Frank. John looked quite embarrassed ‘dropping all these names’ but said that he enjoyed every minute! One event he is really ‘chuffed’ about is when the BBC, in 2004, instructed all its local radio stations nationwide to choose six people from their area to talk about their lives and interests under the running title of ‘The Century Speaks’- an in depth interview with people from all walks of life. Radio Stoke programme chose John and such was the quality of content and presentation that his reading was chosen out of several hundreds to be stored in the BBC archive in London. He admits being very lucky. 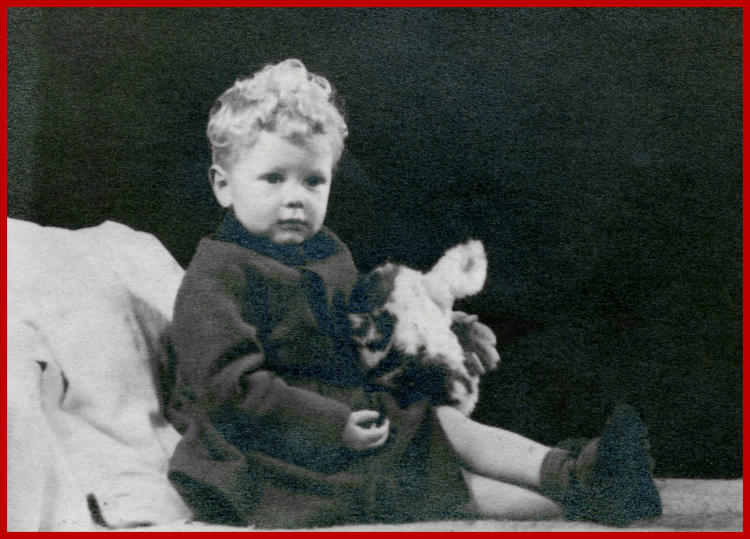 Luck, however, played an enormous role in his early life and his story is rather moving so it is better told by himself. “When I was about fourteen my parents told me that I was adopted; it had little effect on me because my life thus far had been so happy but the circumstances of my birth are quite dramatic. 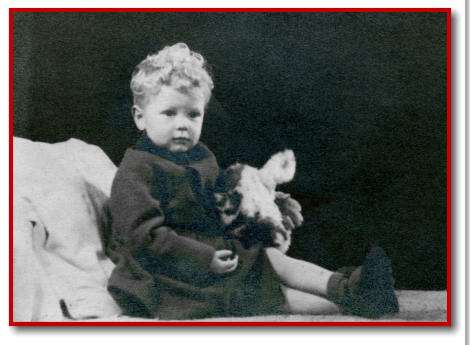 I was born on 27th August 1942 in Menston Hall, a manor house in the village of Menston, near Ilkley, in Yorkshire. My birth mother, apparently, was attacked on her way to the hall, raped, and the result was me! An unmarried woman with a baby was at that time shall we say ‘a problem’. My name then was John Dodman - Bednall; sounds very posh doesn’t it? I never knew my birth father. Anyway, I was given away and sent to an orphanage in Leeds but what happened next was the greatest and most wonderful thing – I was adopted by Mr and Mrs Walley, Thomas and Nellie and you must believe me when I tell you that my life with them was just idyllic. They spoiled me rotten (in the nicest way), gave me a private education and supported me in everything I did. Without them I dread to think where I would have ended up.” John then became rather serious. Amazingly, he has a sister he has never seen; he met his birth mother some years ago and discovered that he had two half brothers. At first everything went well and they met several times but he has now lost contact and does not wish to say any more. His only regret is that he has never found his sister. I tried to elicit more from him but he politely refused. He just emphasised that his adoption by two wonderful people was an act of pure love and joy and he still thinks about them every day. 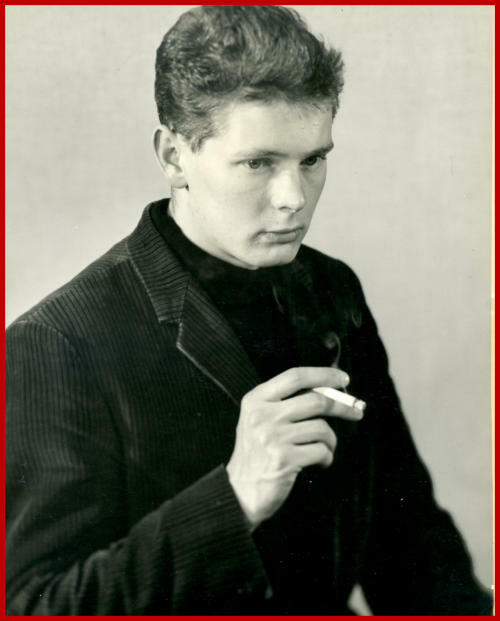 John’s parents encouraged his love for the theatre and I can vouch personally that John Walley is a very fine actor but this is one area of his life that very few in the Formby Society know about and only a serious illness in 1960 prevented him from turning pro. He was offered a job as ASM at the Harrogate Rose Theatre, Yorkshire, but peritonitis from a burst appendix put paid to that. 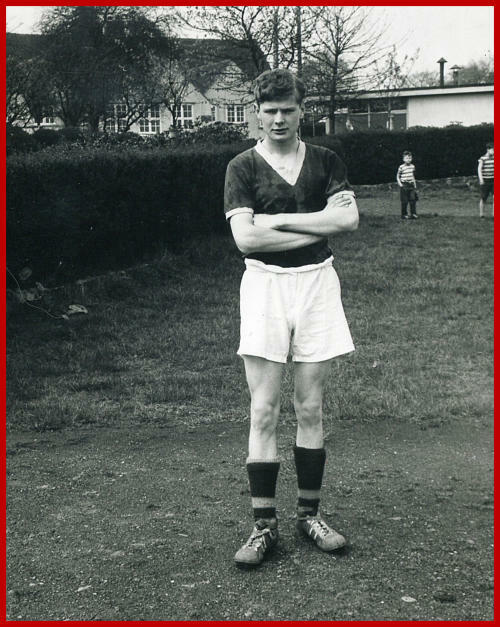 Instead he trained as a teacher and was educated at Lawton Hall and Alsager College. For ten years he learned his acting craft at the Mitchel Memorial Theatre in Stoke on Trent playing everything from disillusioned teenage sons and comic characters to lawyers and homicidal maniacs! He watched how more experienced actors timed their lines, how they ‘sniffed’ the audience and how they developed their characters. 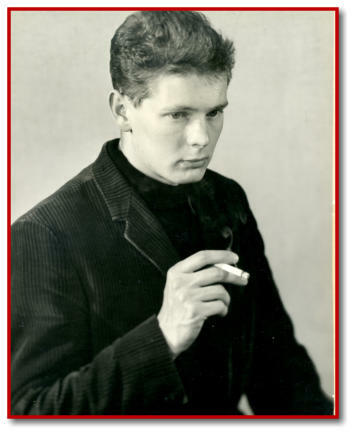 After appearing in twenty two plays in ten years, John was offered the leading role in ‘The Philadelphia Story’ with the Stoke on Trent Repertory Company in 1970 and there he has remained to this present day appearing in fifty five plays to date. He also ventured into variety and musicals playing in ‘My Fair Lady’ (twice), ‘The Dancing Years’, ‘Joseph and His Amazing Technicolor Dreamcoat’, ‘Mac and Mabel’, ‘The war- time musical ‘Happy As A Sandbag’ (as George), ‘The Best Little Whorehouse in Texas’ and one of his favourites ‘Underneath The Arches’, the story of Flanagan and Allen. 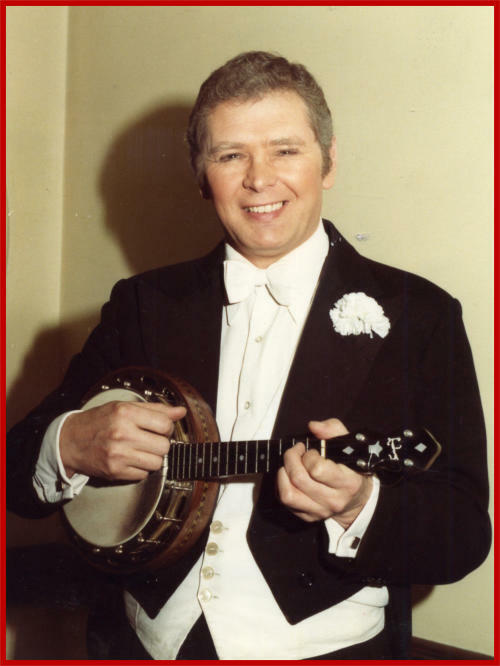 In 1991 he was asked to play George Formby’s character Percy Piggott in ‘Zip Goes A Million’ – a production to celebrate the thirtieth anniversary of his hero’s death. It was a huge success in the area, playing to capacity houses thanks to the show’s director who acquired some of the ‘flats’ from the original production at the Palace Theatre, London. 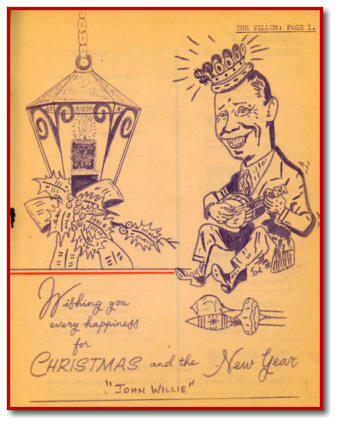 Editor of The Vellum 1964 - 1975 and created his own illustrations.